Wi-Fi Direct, for the unfamiliar, is a peer-to-peer system that allows two Wi-Fi enabled devices (like a phone and printer) to connect directly to one another without the use of a router. Think Bluetooth but for Wi-Fi and you have the concept. The system is used for a lot of stuff, like wireless file transfers and media playback, and some manufacturers have shoe-horned in their own Wi-Fi Direct printing solutions, as in the case of Samsung's Print Service Plugin and HP's Print Service Plugin. 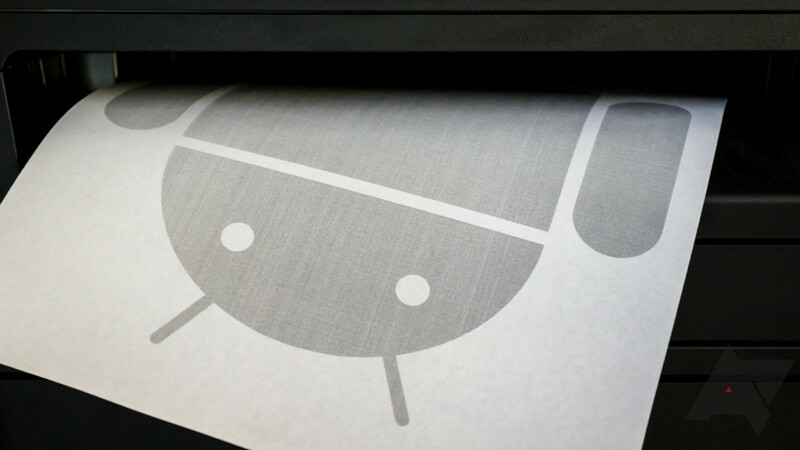 But until now Android hasn't had native support for using printers via Wi-Fi Direct. You can check out the relevant AOSP commit for yourself, but the gist of the change is pretty simple. In short, a new package (com.android.bips.p2p) will be added to Android in the future that enables Wi-Fi Direct device discovery, with a bit of logic to ensure that printers on both Wi-Fi Direct and the local network aren't listed twice. It'll all be conveniently wrapped up into a new user-facing interface, but we don't quite know what that might look like. There are a good number of Wi-Fi direct printers out there, but it's still a relatively new feature so your current printer might not support it. Either way, native Wi-Fi direct probably won't be included in any shipping versions of Android for a while, so you've got some time to shop around for a new printer.